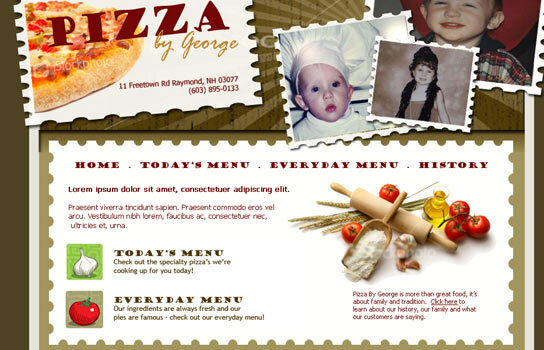 In 2007, Pizza by George of Raymond NH requested the services of Designed By Day to establish an online presence, pizza ordering online and sophisticated online management. DesignedByDay.com got as far as developing a basic website concept before hard economic times resulted in the cancellation of this project. Pizza website designs are available for purchase, so please contact us for more information.